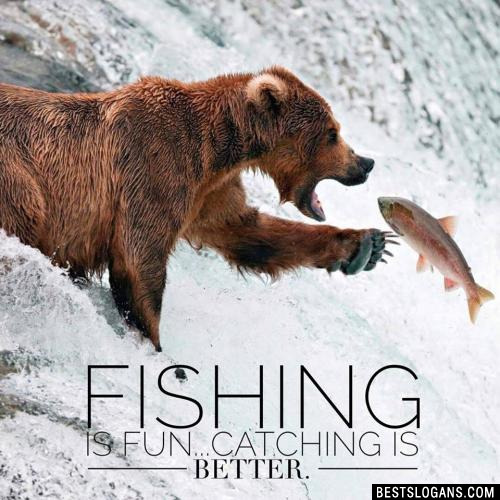 72 new entries added to fishing slogans, overfishing slogans, that include pictures. 1. Everyone needs to believe in something. I Believe I'll Go Fishing. 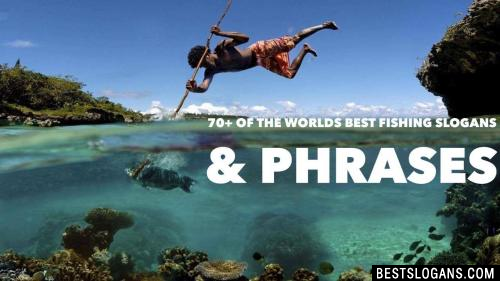 Wherever anglers gather, there is likely to be talk about the extreme aspects of fishing. Here are a few great tidbits will put more fish on your stringer. 1 Everyone needs to believe in something. I Believe I'll Go Fishing. 2 Fishing poles and hunting gear. Dreams of bass and big ol' deer. 3 I got a fishing rod for my wife - good trade. 4 Fishermen have more fun than people do. 5 Always think like a fish, no matter how weird it gets. 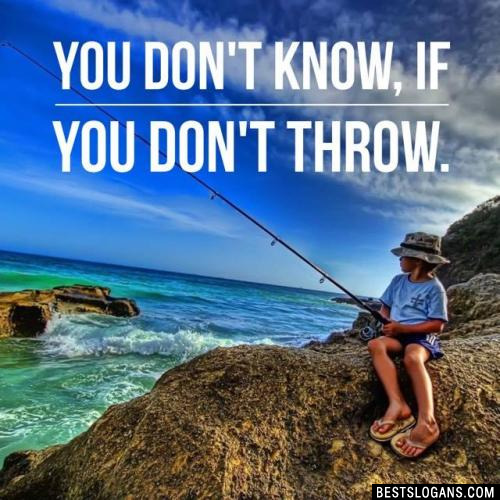 You don't know, if you don't throw. 7 Women want me - fish fear me. 8 Well this day was a waste of bait. 9 To fish or not to fish ... not to fish?? Yeah ... like that's even an option! That's okay when hell freezes over.... 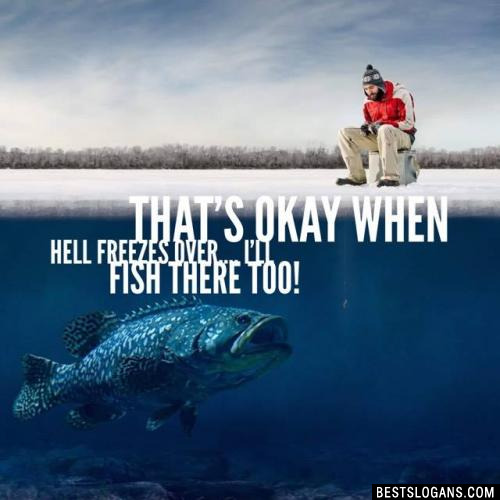 I'll fish there too! 11 Take up a reel sport...Fishing! 12 Sorry I'm late, but fishing takes a lot of time. 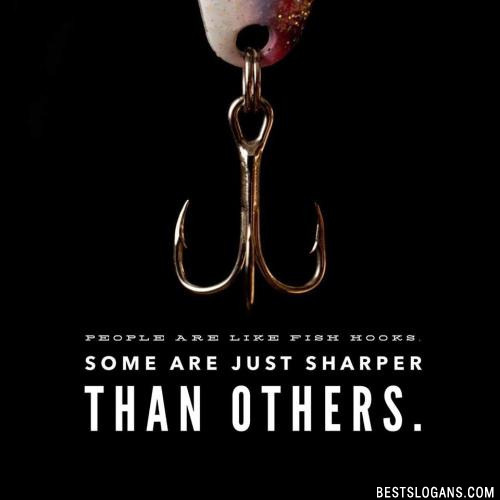 People are like fish hooks, some are just sharper than others. 14 One jerk waiting for another jerk at the end of his line. 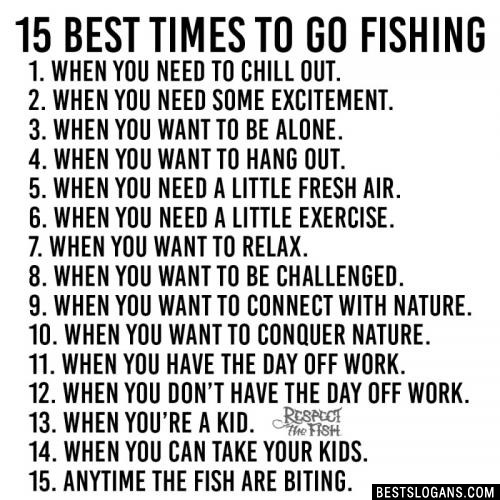 15 Nothing says fishing like fly fishing. 17 Live to fish, fish to live. 20 Give a man a fish, and he will eat for a day, teach him how to fish, and youll get rid of him every weekend. 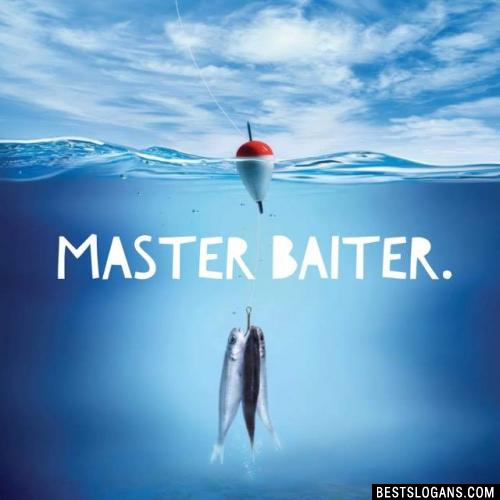 Can you think of a good Fishing Slogans we're missing? Or come up with a clever one of your own. Please share below.